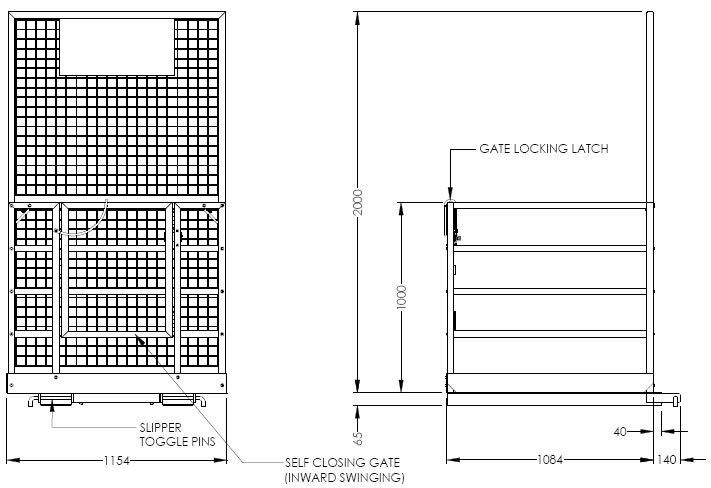 The NS-SC05-AP-WA forklift safety cage is shipped flatpacked so is very cheap to freight and is very easy to assemble. 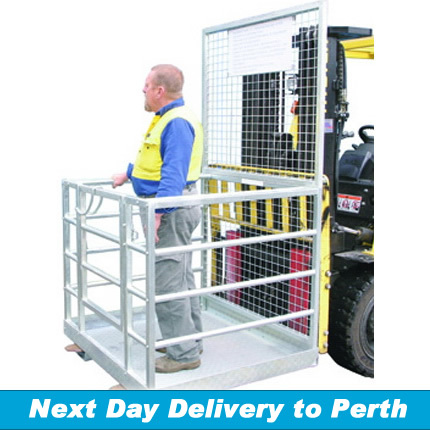 The NS-SC05-AP-WA forklift safety cage has been specifically designed to carry a maximum of 2 people for tasks of short duration and occasional usage with a forklift truck such as maintenance or stocktake. NOTE: The use of any forklift safety cage should not be considered if the lift capacity of that Forklift is less than 1800kg for a counterbalanced type forktruck or 1080kg for a reach type Forklift. 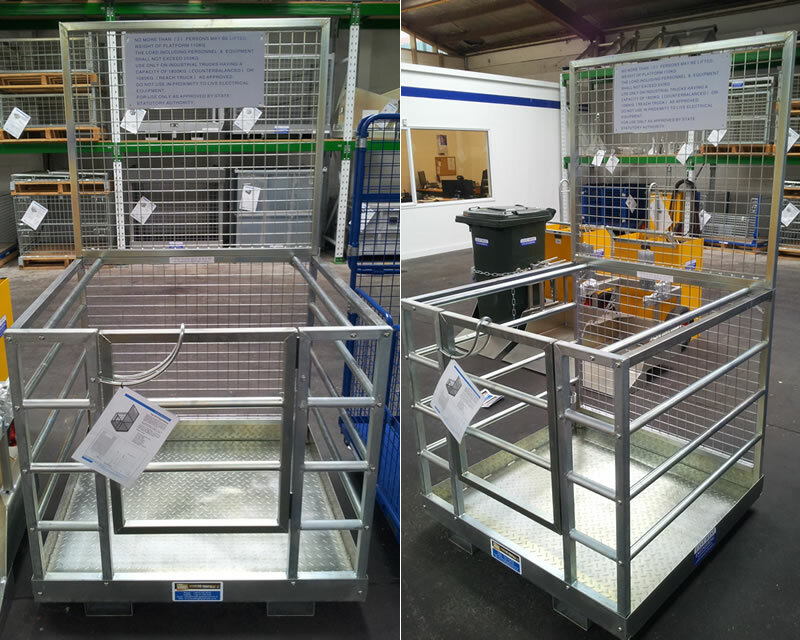 The NS-WP-MSF forklift safety cage has wire mesh sides and is shipped flatpacked so is very cheap to freight and is very easy to assemble.